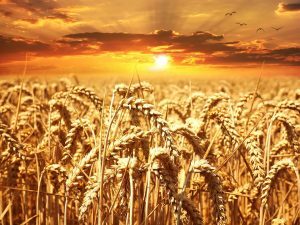 Main crops of Rabi season are wheat, barley and gram, Rabi season starts earlier in the western part and continues until the sun attains equatorial position.Rabi’ season (October to March). In terms of production, wheat occupies the first place among the food crops in the world. In India, it is the second most important food crop, next only to rice. The Indo-Gangetic plains form the most important wheat area. The cool winters and hot summers are conducive to a good crop of wheat. Well-drained loams and clayey loams are considered good soils for the cultivation of wheat. However, good crops of wheat can be raised in sandy loams and black soils also. Wheat crop requires a well-pulverized but compact seedbed for good and uniform germination. Under irrigated conditions, the first fortnight of November is considered the optimum time for sowing the medium to long-duration wheats (e.g. the ‘Kalyanasona’ variety).For short-duration wheats (e.g. the ‘Sonalika’ variety) the second fortnight of November is the optimum time of sowing. In eastern India, wheat is sown in the third week of December due to the late harvesting of paddy. In north-western India also, wheat sowings get delayed due to the late harvesitng of paddy, sugarcane or potato. For wheat sown under irrigated conditions, four to six irrigations are required. The first irrigation should be given at the stage of initiation of the crown root, i.e., about 20–25 days after sowing. Two or three extra irrigations may be required in case of very light or sandy soils. The crop is harvested when the grains harden and the straw becomes dry and brittle. The harvesting time varies in different regions. In the peninsular region, harvesting starts in the latter half of February and is over in the first week of March. In the central zone, the peak season for harvesting is in the month of March. In the north-western zone, the peak harvesting period is the latter half of April. In the eastern zone, harvesting is over by mid–April. However, in the hills, the wheat crop is harvested in the months of May and June. Punjab, Haryana, Delhi, Uttar Pradesh, Madhya Pradesh, Rajasthan, Gujarat, Bihar, and West Bengal together grow wheat over an area exceeding 70 per cent of the total area of wheat crop for the country. These states also produce 76 percent of the total what production of India and have extensive irrigation systems covering from 85 per cent of the area in Punjab to 51 per cent in Bihar. Barley (Jau) is an important rabi crop ranking next only to wheat. The total area under this crop is about 3.0 Mha, producing nearly 3 million tonnes of grain. Main barley growing states are Rajasthan, Uttar Pradesh, and Bihar which together grow barley over an area which is about 80 per cent of total barley growing area. 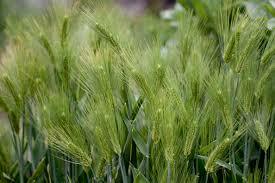 This crop can be grown successfully on all soils which are suitable for wheat cultivation. Barley crop needs less water and is tolerant to salinity. Recent experiments indicate that this crop can be grown on coastal saline soils of Sunderbans in West Bengal and on saline soils in areas of north Karnataka irrigated by canals. The normal sowing season for barley extends from middle of October to the middle of November, but it can be sown as late as the first week of January. Barley is grown either on conserved moisture or under restricted irrigation. Generally, it needs two to three irrigations. On highly alkaline or saline soils, frequent light irrigations are given. Harvesting period for barley is between mid-March to mid-April. Harvesting starts in the month of February in Maharashtra, Gujarat, and Karnataka. In the foothills of the Himalayas, harvesting time varies from the end of April to the end of May. The average grain yield of the ‘dry’ crop is about 700–1000 kg/ha whereas that of the irrigated crop is about twice as much. Gram (Chana) is the most important pulse which accounts for more than a third of the pulse growing area and about 40 per cent of the production of pulses in India. The average annual area and production of gram are about 7–8 Mha and about 4–5 million tonnes of grain respectively. Haryana, Himachal Pradesh, Rajasthan, and Uttar Pradesh together grow gram over an area exceeding 6 Mha. In North India, gram is grown on light alluvial soils which are less suitable for wheat. 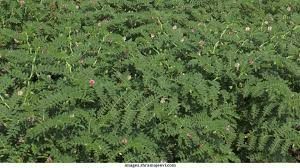 In south India, gram is cultivated on clay loams and black cotton soils. ‘Kabuli gram’, however, requires soil better than light alluvial soils. Gram is generally grown as a dry crop in the Rabi season. The preparation of land for gram is similar to that for wheat. The seeds are sown in rows from the middle of October to the beginning of November. The crop matures in about 150 days in Punjab and Uttar Pradesh and in 120 days in south India. Crops of Kharif Season are Rice,Maize,Jawar,Bajra.